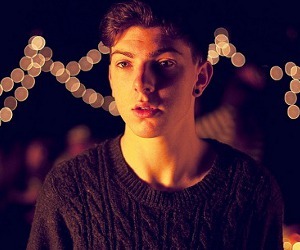 One snowy December night at the end of 2010 the then 17 year-old school boy Jack Colleran, aka Mmoths, made two tracks and uploaded them to Soundcloud. Within months the resultant net buzz surrounding his dreamy take on electronica saw him fly to LA for a week of meetings and gigs, remix Interpol and support Aphex twin at the Warehouse Project, and has earned him acclaim from artists as disparate as Bon Iver and Flying Lotus. Mmoths’ story demonstrates how quickly and easily real talent can spread across the globe in the modern era, and with a remix coming for one of the biggest bands on the planet as well as some American dates at SXSW in March as well as New York, San Francisco and Los Angeles Jack Colleran is not just the most exciting prospect in Irish electronic music but very much a global concern.